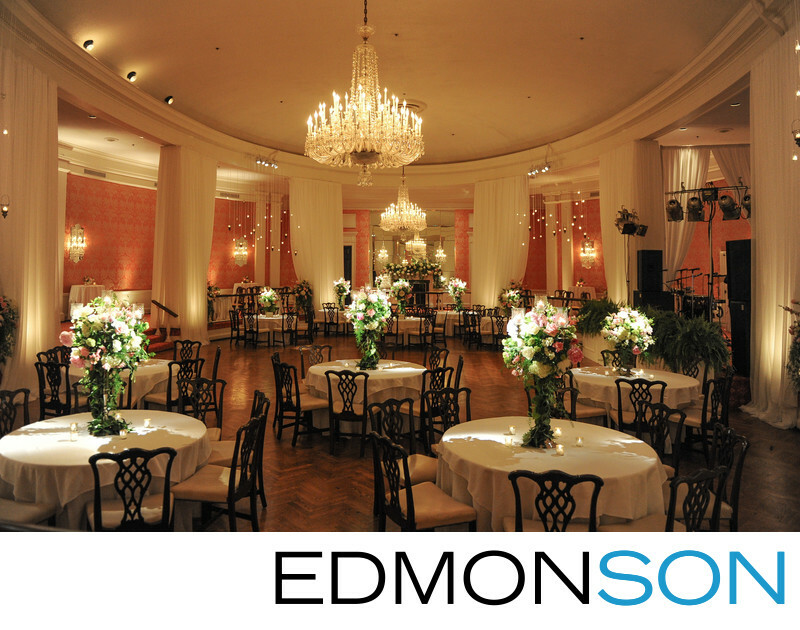 Houston Country Club ballroom is ready for wedding reception guests. Wedding coordination by Keely Thorne Events. 1/60; f/2.8; ISO 3200; 24.0 mm.